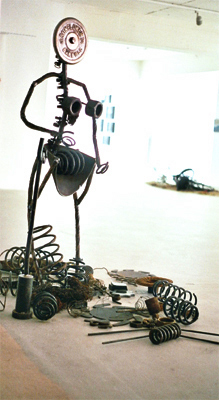 Joint exhibition in the Frauenmuseum Bonn with the theme mother. 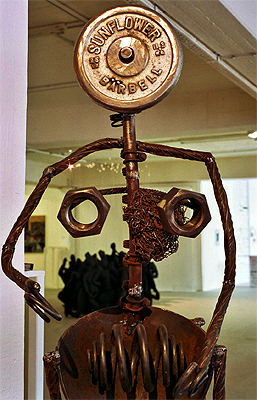 Her face is formed by a dumbbell whose inscription gives her the name Sunflower Baerbell. 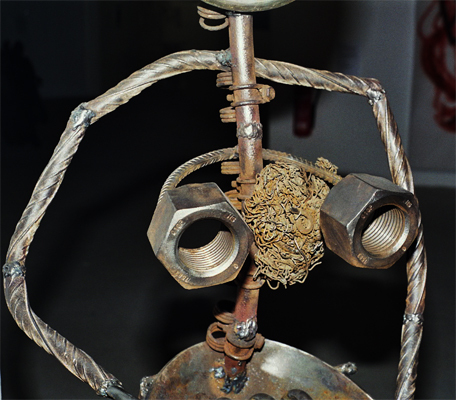 She stands, surrounded by a variety of found objects, showing her nuts and bolts- known as “mothers” in German. 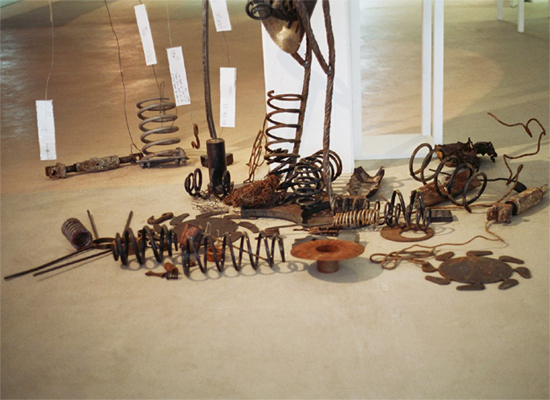 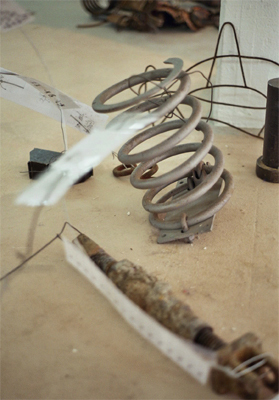 Sunflower Bärbell sits amid a series of found objects: huge springs, cake tins, reinforcing steel, parts of agricultural machinery.